I am missing the TAST challenge. 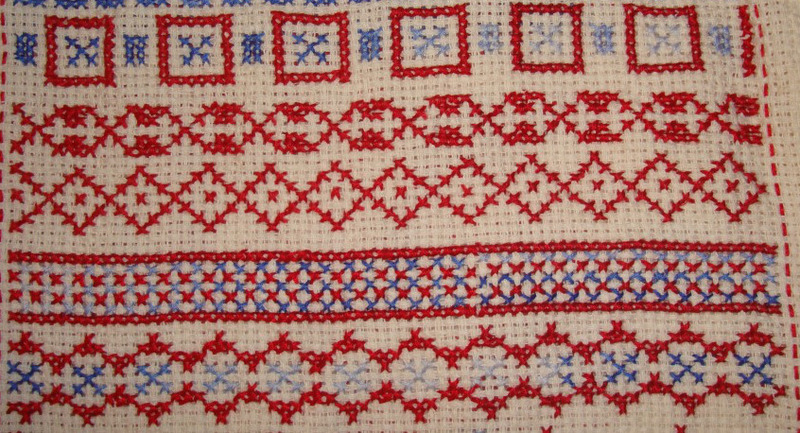 A new interest as started with Randje per week 2015 challenge, these days the edges are giving scope for designing kutchwork borders. These borders are designed, and worked as samples. Whenever an idea of a kutchwork pattern comes in mind, there is an urge to try out the possibilities of the pattern. Now working on these borders gives a satisfaction. The edges of randje per week challenge of last year were successfully completed this week. The last few edges were completed during last year. 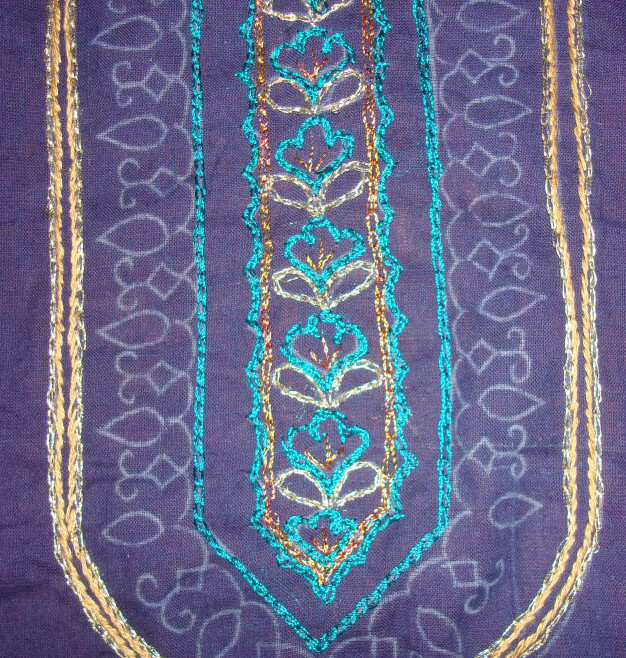 This week’s progress on embroidery for blue green crepe tunic was working chain stitches with the same blue/green fine silk thread. The design is traditional Indian, so the stitches just follow the pattern, not much of creativity here. After I came from my trip to Madras,I wanted to work on my stitch challenge, before I write a post. This time I’ll work on 4inches square cloth. I browsed through the sites and blogs, and chose a few patterns to work . The green and red are gingham material, for some reason the colours run a bit. for white thread I used anchor perle cotton no-8, for the colours I worked on anchor cotton skeins.It was difficult to pierce the fabric with tapestry needle ,while using perle cotton.